2019 is certainly the year for interactive card games on Nintendo Switch. FDG is bringing Steamworld Quest, Bandai Namco is bringing Super Dragon Ball Heroes and now PlayFusion and Games Workshop are bringing Warhammer Age Of Sigmar: Champions to the console as well. The game will launch on Steam and PC sometime in February. The Switch version is slated for Q1 2019. 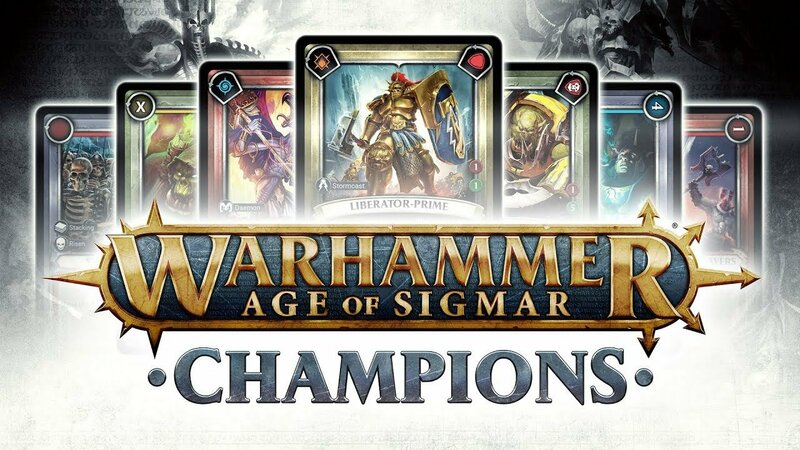 We have the official press release for Warhammer Age Of Sigmar: Champions below. The banners of war will be raised when Warhammer Age of Sigmar: Champions comes to Steam in February and Nintendo Switch later in Q1. To prepare, players can begin harnessing the forces of the four Grand Alliances right now on their mobile phones and tablets. Be sure to visitwww.warhammerchampions.com to learn more.